A Tibetan Centre, near Darjeeling. 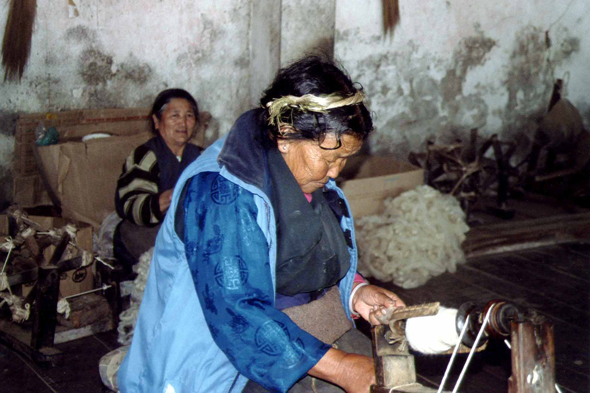 The Tibetan Centre produces and sells many Tibetan items, in particular fabric. The centre was created in 1959 to reintegrate the refugees who were flee from Tibet with the Dalai Lama following the Chinese invasion.